Somebody say retro crisps pop-up shop? Erm, yes they did, and it’s even better that it sounds, if that’s at all possible. With so many retro crisps out there, it’s about time they were celebrated in a two-hour bottomless brunch event right here in the UK, complete with heaps of dip and plenty of bread to make as many crisp sandwiches as you want. To thank for all this, you have a company called Foozie, they (rightly) believe there’s nothing ‘creates nostalgia like food’, so they’re paying homage to the retro crisp. 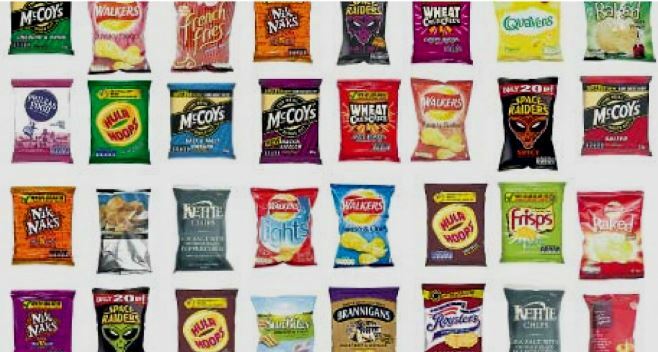 Anyway, the event is a two-hour bottomless buffet featuring more than 30 varieties of crisps, including Chip Sticks, Wheat Crunchies, Quarterbacks, Tangy Toms, French Fries and Roysters. And, wait for it…. There will be a ‘huge selection of dips and sauces’ loads of bread so guests can create the ultimate crisp sandwich. Because we all know that’s the best type of sandwich. Foozie will provide a list of recommended sandwich concoctions as well as hosting a competition for the best crisp sandwich creation of the day. The winner will receive their ticket money back as a prize, so this could be the ultimate free night! And the 90’s doesn’t stop at the crisps, oh no! We’re going full-90’s on the drinks and music playlist, with Mad Dog 20/20, UM BONGO COCKTAILS and lots of non-alcoholic treats. Tickets are £10, which includes two hours of bottomless crisps, dips and bread plus lots of 90’s themed fun. For all the information, visit Foozie’s website. Now where are those Space Raiders at?